Back in the day, I had the privilege of owning several classic Corvettes. 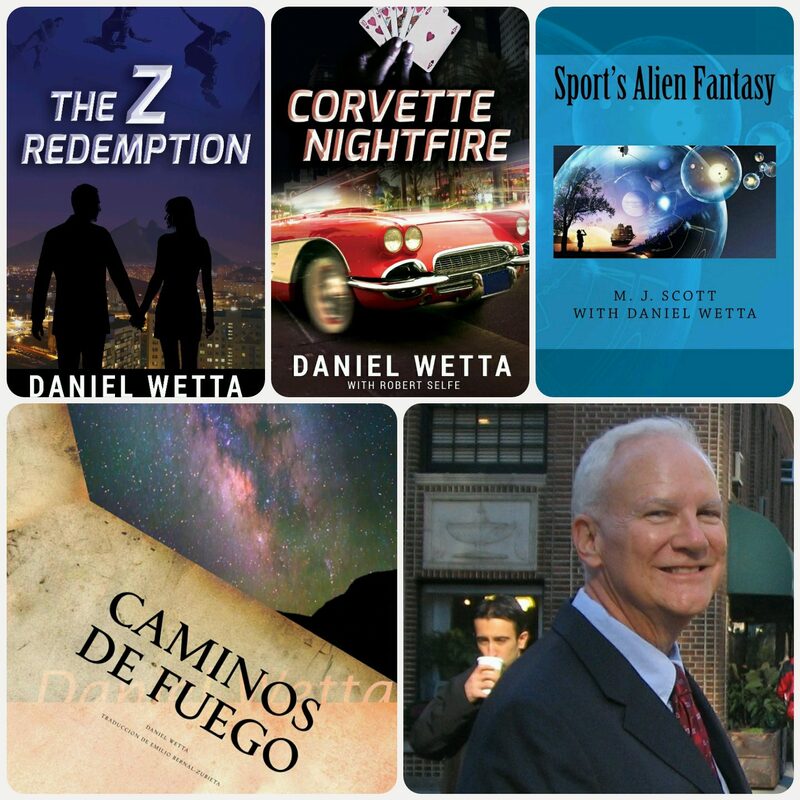 To celebrate the publication of Corvette Nightfire in April (it is the name of the novel’s main character), every so often I am going to share some photos and stories of these incredible cars. A couple of the cars had histories worthy of novels. 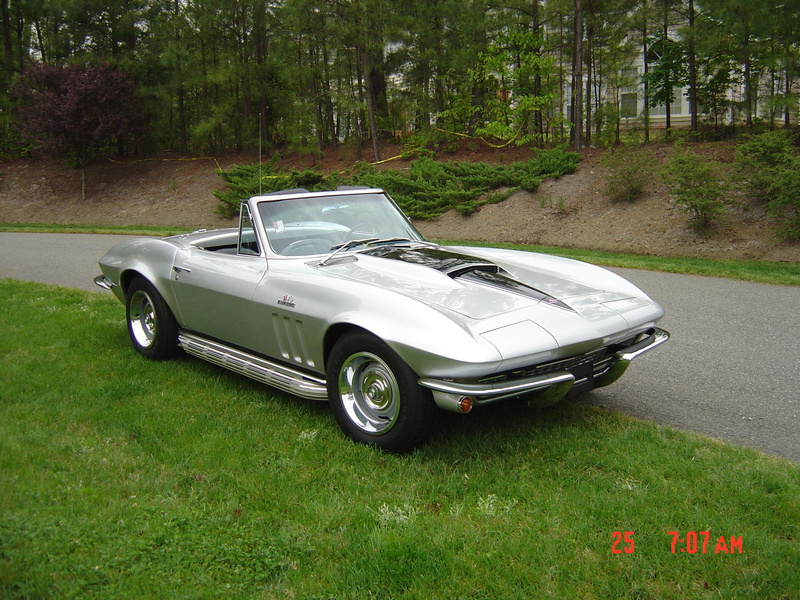 This silver convertible is a ’66 big block Sting Ray with a 427 engine. Note the side pipes. For purists, yes, that is a ’67 stinger hood. This car literally shook the ground when it started, and I am not kidding. I drove it a few times between Williamsburg and Colonial Heights along Rt. 5 during the summertime. Something about this beauty really brought out the All American waves and thumbs up. I didn’t know as much about the history of this Corvette as some of the others. I just knew it was scary-fast. It was never a ride; it was always an experience. I ended up selling it to a man in Florida. Good place for a car like this. 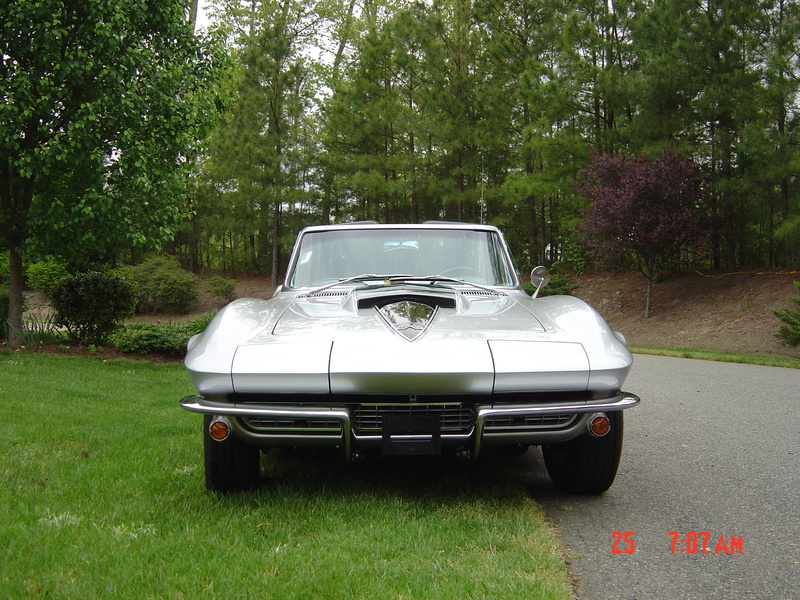 Look at a head-on photo and you will understand why the design of the car led it to being called the Sting Ray. Read an E-Book Week, March 2-8, 2014!